I cannot remember a time when I did not have a pencil and paper in my hand. It seems writing has always been a part of my daily life. And when I was not writing about something, I was reading. Writing and reading have always been a priority in my life. Reading takes me into different places, some near and some far. As I read I become acquainted with characters whom I may never meet in real life, but I have met them through novels and short stories. Some characters I read about remind me of myself or other people I know. When I was a little girl I remember telling my mother I wanted to learn how to read and write in Spanish. Every day a neighborhood boy would come to our house and sell my mother a Spanish newspaper for five cents. I would sit next to my mother and watch her read. One day we went to the grocery store to buy groceries. At that time groceries were bagged in brown paper bags. My mother cut out a piece of the brown paper bag after we put all of our groceries away. Next, she drew lines on it with a ruler. Then, she took out an old Spanish newspaper she had already read. She cut out an article with the scissors. Finally, she told me to sit at the kitchen table and write the article at least two times. She kept this up until I learned how to read and write in Spanish. Several years passed and I soon became a Mother. My mother would babysit my daughter. My daughter told me her grandmother was teaching her how to speak Spanish. I told her that was good. I went on to tell her how her grandmother had taught me also when I was a little girl too. After a while I began to wonder how my mother was teaching my daughter the Spanish language since we didn’t get any more brown paper bags at the grocery store. Nowadays our groceries were bagged in plastic or recyclable bags. My mother was teaching Spanish to my daughter via a form of technology – the good old television. I was happy to see this. Needless to say, my daughter learned Spanish. The saying that our mothers are our first teachers is true for me! My name is Anna Martinez. I teach reading and writing at an elementary school. 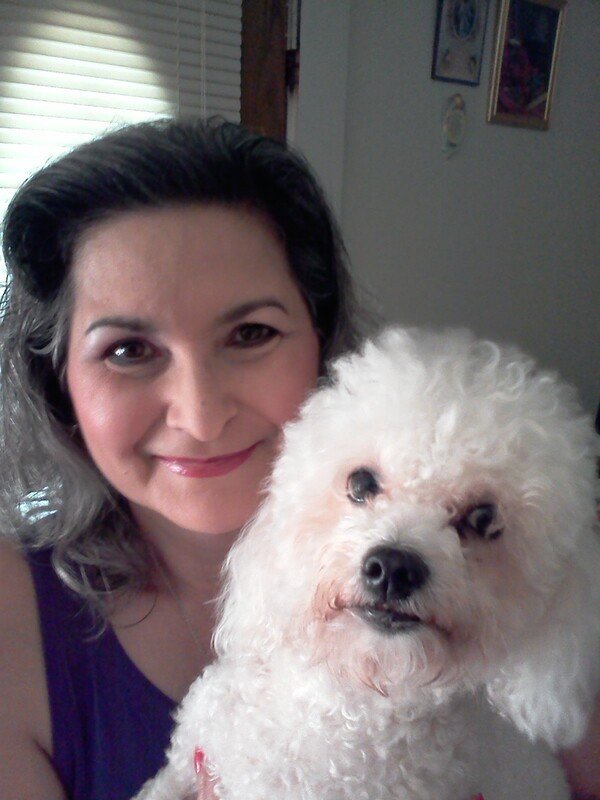 I live in South Texas with my miniature poodle, Gandy. I love to read and write in my spare time. To date I have written three children’s books and four romance novels. You may reach me at oceanrubyred@yahoo.com. I remember moving to the US. One of the best learning tools for English was Wheel of Fortune (not only new words and spelling, but cultural references as well). Introducing children to foreign languages early is SO beneficial. My son attended Kindergarten in Florida where they also taught Greek. He later took Latin and German in high school and travelled to Germany twice as an exchange student. Unfortunately, times have changed since then. My daughter won't have a chance to take a foreign language until high school - not enough time, if you ask me. So we watch some TV in Spanish and travel to places where she can hear foreign languages. I wish there was more emphasis on acquiring this skill in the U.S.